I'm starting to sound like a broken record, aren't I? 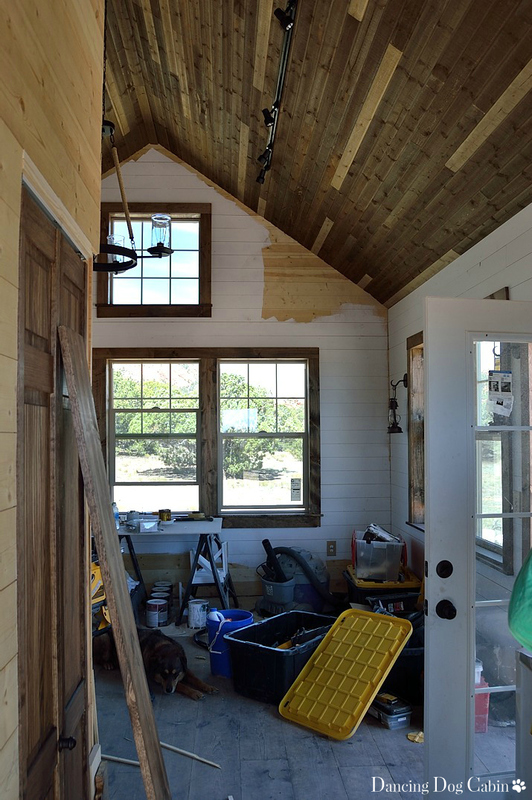 In almost every cabin-related post I've said something like---'cabin progress trudging along', 'slowly getting to the finish line', and 'almost done'. Well..... we're still working on it. My husband thinks we can wrap it up in just a few more days next time we visit the cabin. But I'm skeptical after all our gross miscalculations regarding our construction schedule. Here are some highlights and a few milestones from our last trip back to the cabin. I'm pretty ecstatic with the way the window and door casings turned out. 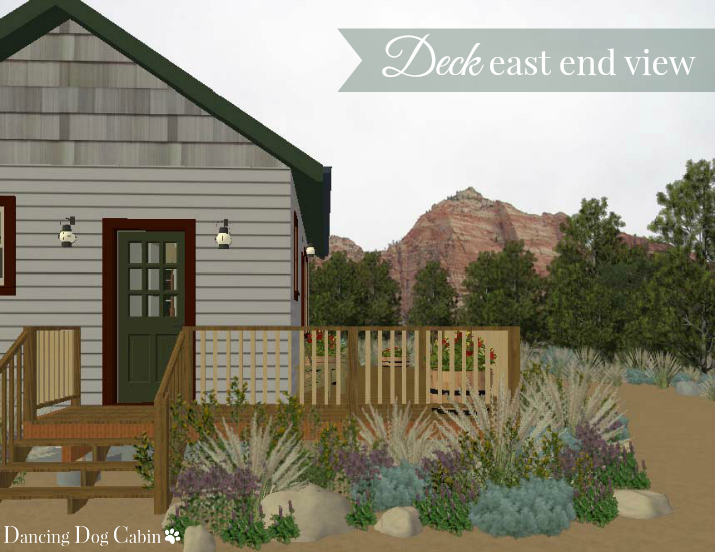 I wanted the cabin to have a strong rustic flair without being overwhelmed with too much unpainted and dark wood. Painting the tongue-and-groove plank walls white helped to balance things out and really showcase the nice and beefy stained window and door casings, the salvaged-wood look ceiling, and the floors (granted the floors are filthy in these photos, so you can't see what they look like...but some day they will be clean and pretty again). 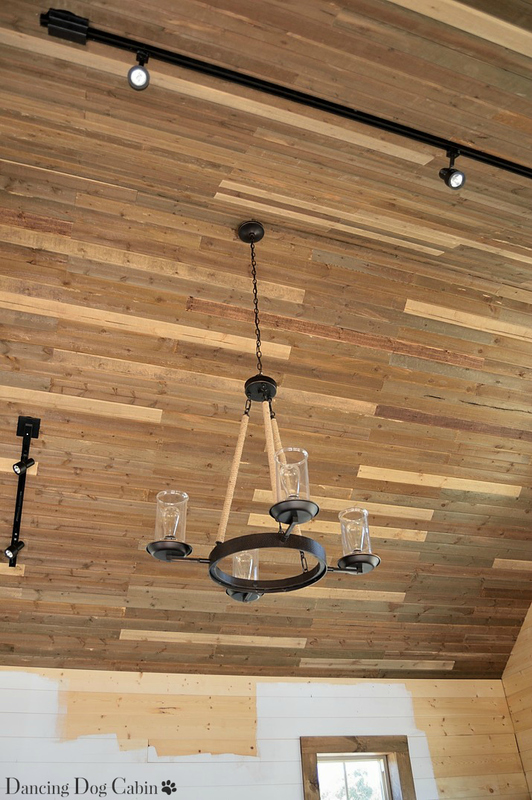 Click here to for a detailed tutorial on how to age wood, and here for a quick overview of how I aged the ceiling planks shown below in my 'wood-aging factory'. 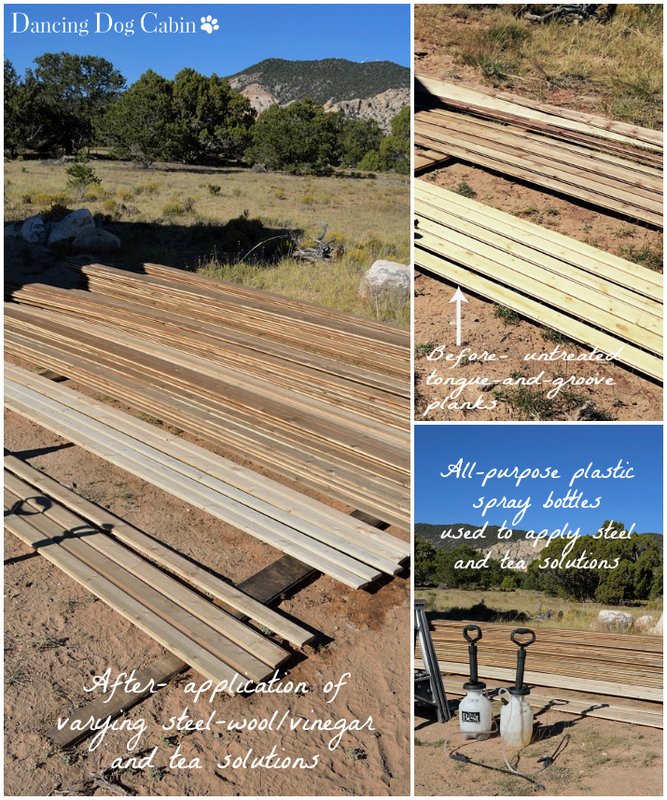 The floor planks got the same treatment. We had the electrician who did the initial rough-in work come back and install all the lighting and electrical fixtures. We're both over the moon about the rustic chandelier with its mason jar-like globes. I wish we had gone with recessed lighting, since I think the track lights stand out like a sore thumb on our nice ceiling. I'm thinking they will need to come down at some point so I can spray paint them a rust color so that they aren't so obtrusive. According to the description for the flush-mount ceiling light shown below, it's supposed to 'bring a feel of a maritime port' to any room. However, I think it works just fine in a rustic bathroom in a mountain cabin very far from the ocean. 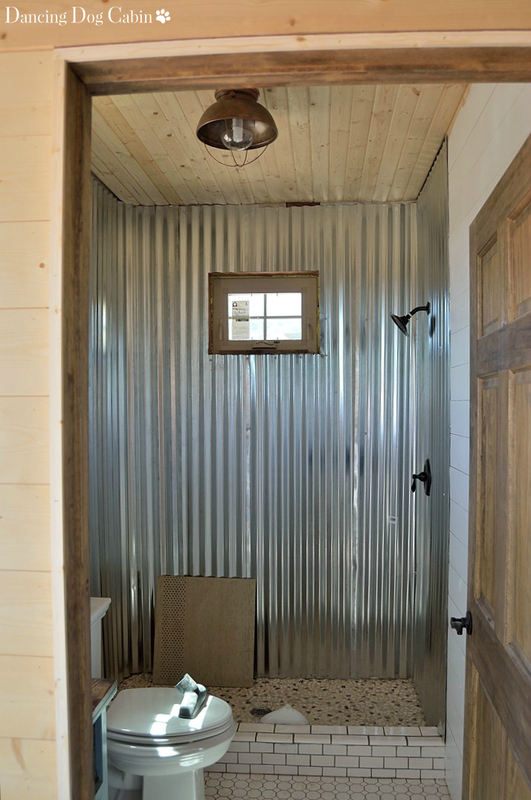 Ugh, those galvanized metal panels in the shower! There was certainly a lot of harsh language flying around when my husband was wrestling with them during the installation. Still need to add stained wood trim pieces. Love the pebble shower floor. By the way, the official name of the toilet is 'Stately Memoirs' (according to the packaging). Who thinks up these names?? 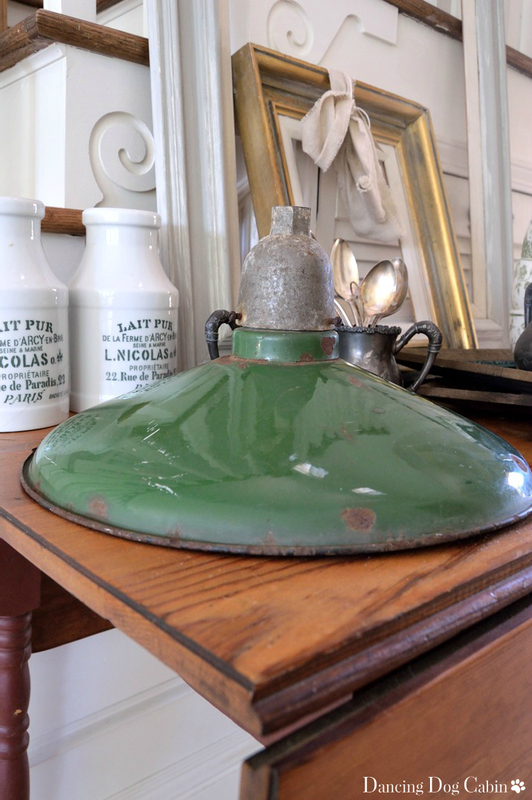 Remember the old barn light from this post? Finally being able to turn on the kitchen tap and have CLEAN water come out was a huge milestone. 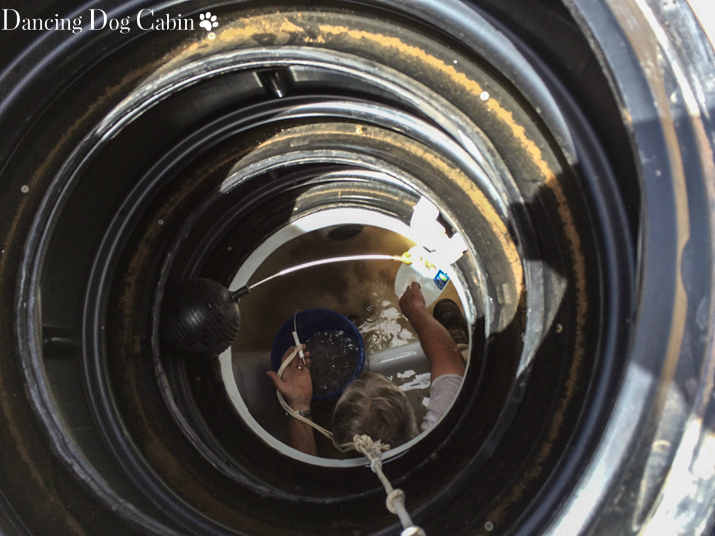 A few days before I took the photo above, we discovered that some chipmunks and their field mice friends decided to crawl into the outflow pipe for our water tank. They crawled all the way through the pipe and fell into the tank, where, unfortunately for them and for us, they drowned, making a terrible, smelly mess (think several months of decomposition). My husband had to crawl down into the tank and clean out all that disgusting water one bucket at a time. You can see him down there in the photo below, sitting in the filthy, pestilential water. And see that rope attached to the bucket? That allowed me to pull up each bucket and dump the contents (complete with little, bloated corpses) in an area far from the water tank. It was awful, awful, awful. It took lots of Clorox and several hours of flushing water through the system to get to the clear, clean water shown above. 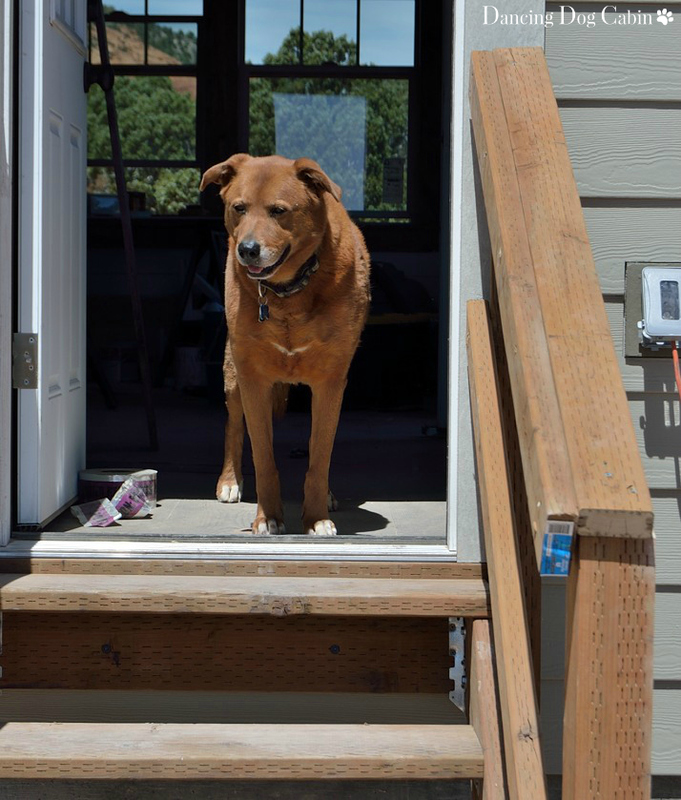 To speed things up, we decided to wait to install the deck shown in the rendering below until after we pass our final inspection. Click here for more on the deck. All we need right now is a set of stairs at each door to pass. 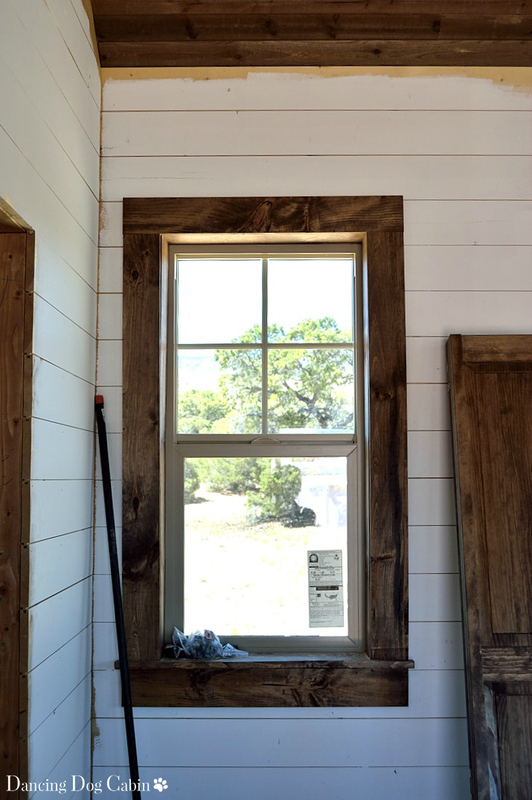 I'm going to end with some photos of the gorgeous surrounding country (and my dog), since I don't have any pretty photos of the finished cabin...yet. 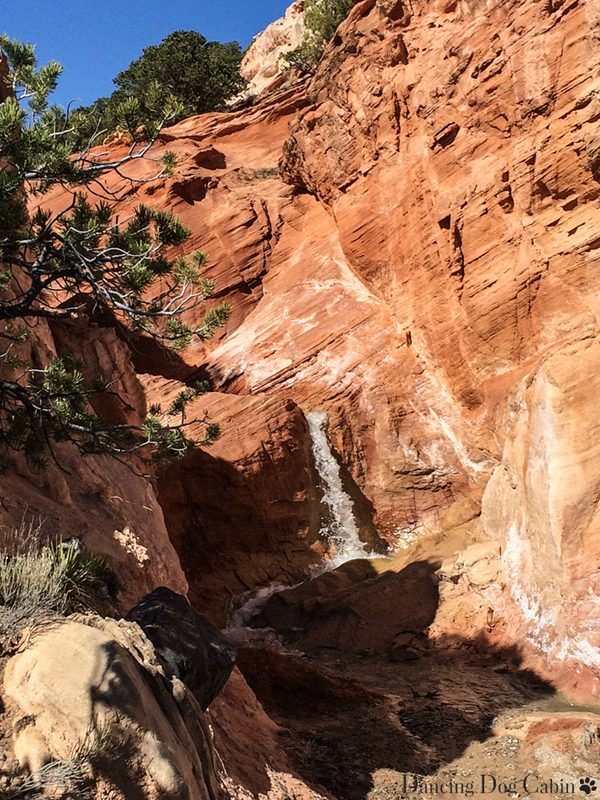 Waterfall in a slot canyon near the cabin. Oh, but it will be worth it in the end. How pretty it all is and it's not even done! I love the white with the wood and the metal walls in the shower. 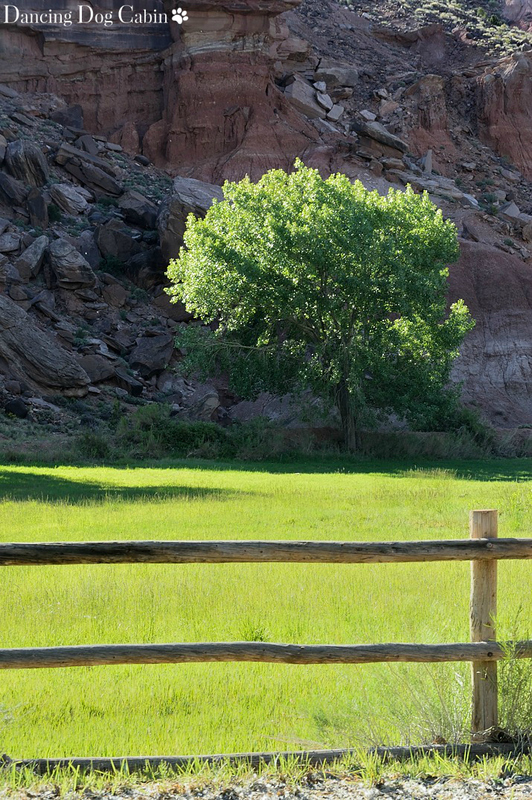 The outdoors is as pretty as indoors. Thank you! Yes, we have some gorgeous scenery near the cabin. 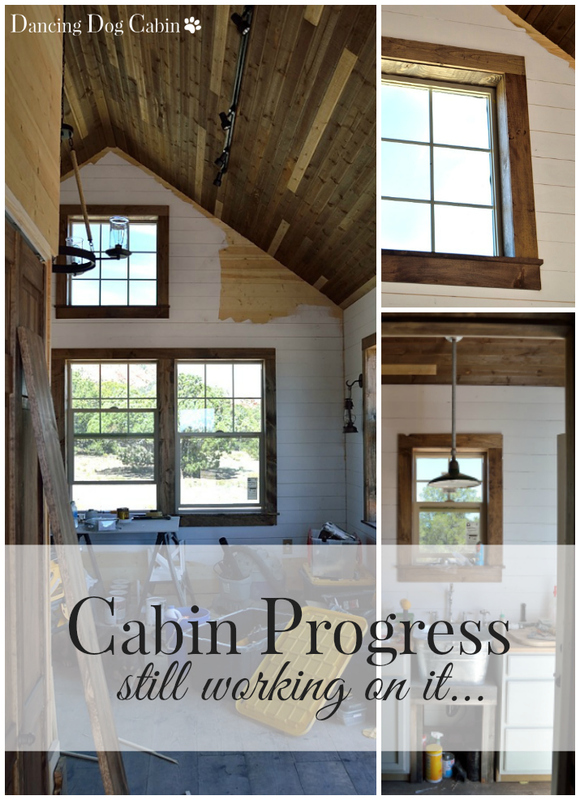 Love seeing the progress of your cabin-it all looks lovely. 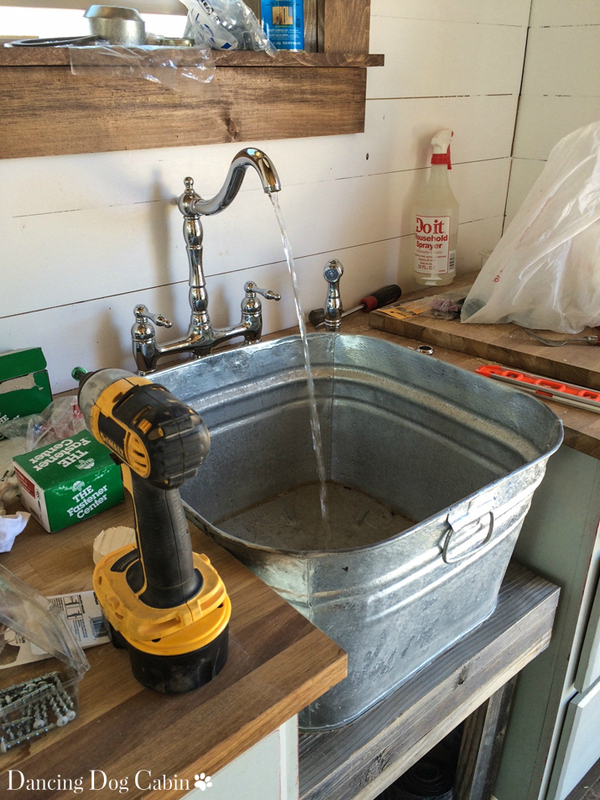 I especially love the galvanized tub for the kitchen sink! We have been working on our cabin all summer and are finally getting to the "fun" part. The story about your well contamination sounds familiar! My husband had me pour a bottle of bleach down our well pipe for regular maintenance. It didn't seem to be draining down properly and when he looked down the 6 in. pipe he saw that a racoon had crawled into the pipe, gotten stuck and died!! Then I had poured a whole bottle of bleach over him! YUCK!! That was a disgusting thing to pull out!! The perils of farm life!! Thanks for the update and don't worry, the time to just kick back and enjoy the cabin and all of your work will be here soon. At least that is what we keep telling ourselves! A raccoon! That must have been absolutely awful! I'm hoping we are done with animals in our water supply. Thanks for visiting and good luck with your cabin. 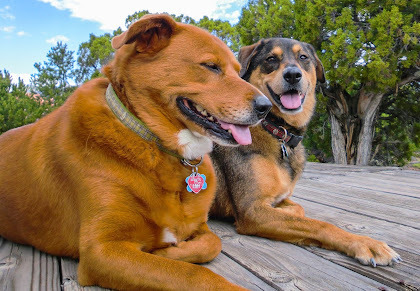 Oh I absolutely love your cabin and where it is heading. I can't wait to see the final product. Oh I love it! And eek! I see the faucet I just bought for our farm kitchen. I love it!! 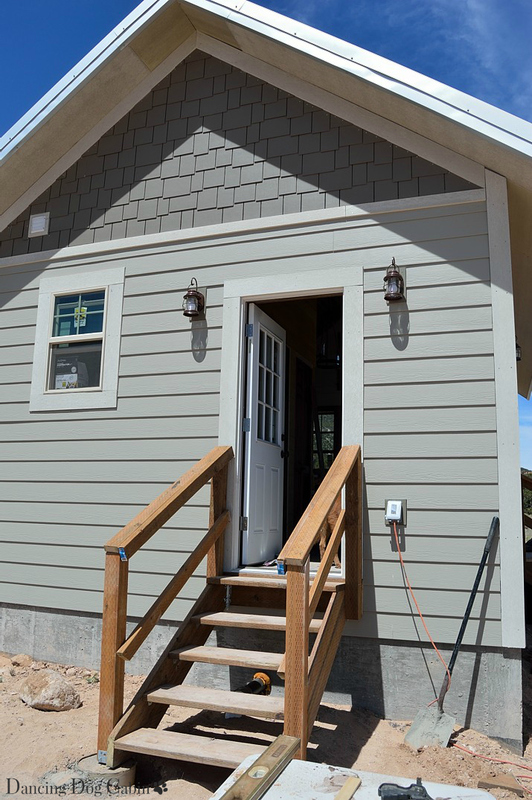 Your cabin is going to be just beautiful. I love everything you've done so far! Coming from the Vintage Charm party. Now following you. Thank you for following me Cecilia! Melissa, I can see lots of progress! 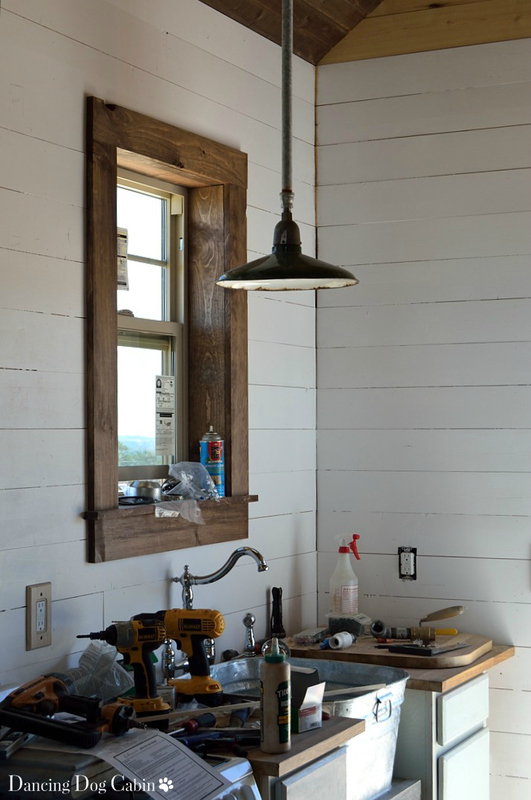 So many things I love like the wash tub sink, the barn light and THAT ceiling! Thank you for sharing @Vintage Charm! Pinning! Thank you! We're slowly getting there. Everything looks so amazing!! I really like the bathroom, kitchen sink and that plank ceiling, oh my how gorgeous!! I'm sure it'll be so nice when it's finished. Wow that is an amazing cabin! Thank you for sharing at Home Sweet Home! Oh, wow, Melissa! You've made so much progress, and it all looks fantastic! I just love the ceiling -- I'm amazed at how you aged the wood yourselves. Thanks so much for sharing at Best of the Weekend - I will be featuring it tomorrow night! Thank you for featuring me Amy! I had a lot of fun 'aging' the wood, even though it took a while.